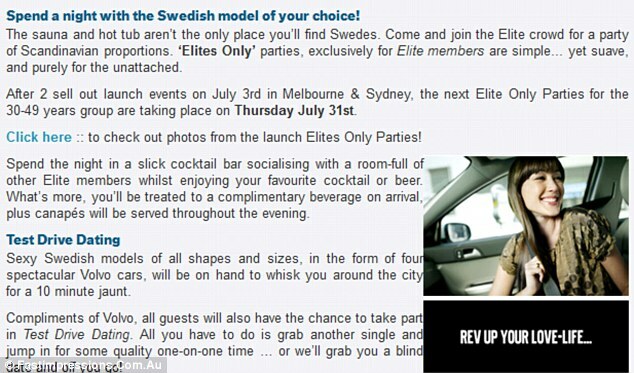 Model Carolyn Giles is suing Volvo after the company supposedly ran some ad units on an Australian dating website inviting singles to "spend a night with the Swedish model of your choice." The issue with the ad has a lot to do with the double meaning of 'model.' Unfortunately, the copywriter's play on words is bringing Volvo into court.. 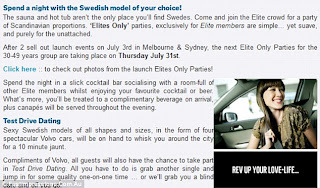 The misleading copy of 'model' is now a $23 million lawsuit Giles has filed against Volvo, Hertz and her modeling agency. It's doubtful the damages are anywhere near that significance. Regardless, it is a good lesson in ad copy and media buying. Sure a good play on words can grab the site visitor's attention just make sure you still respect the integrity of your talent. Great writeup, Just love to say that your article is excellent . It is informative too. I have found a good site for my v70 . Volvo is continuously making its cars more versatile,stylish,luxury and according to the latest automotive changes. I have bookmarked this site and i will get back to you. Thanks for nice article .